Dombos T, Polgári E. Zavaros progresszió. Az Alkotmánybíróság a családok védelméről szóló törvényről. Fundamentum. 2013;(1):55-62. Dombos T, Pellandini-Simányi L. Kids, Cars, or Cashews? : Debating and Remembering Consumption in Socialist Hungary. In: Bren P, Neuburger M, editors. 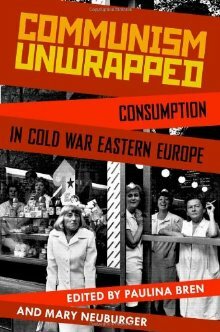 Communism Unwrapped: Consumption in Cold War Eastern Europe. Oxford: Oxford University Press; 2012. p. 325-50. Dombos T. Narratives of Concern: Beyond the “Official” Discourse of Ethical Consumption in Hungary. In: Carrier JG, Peter L, editors. 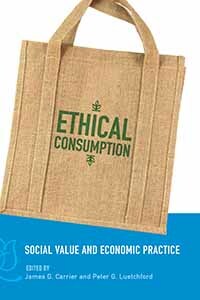 Ethical Consumption: Social Value and Economic Practice. New York - Oxford: Berghan Books; 2012. p. 125-41. Takács J, Dombos T. Az LMBT emberek társadalmi integrációját segítő tényezők Magyarországon. In: Kovách I, editor. Társadalmi integráció a jelenkori Magyarországon. Budapest: Argumentum; 2012. p. 383-97. Dombos T, Krizsan A, Verloo M, Zentai V. Critical Frame Analysis: A Comparative Methodology for the 'Quality in Gender+ Equality Policies' (QUING) project. ; 2012. Takács J, Dombos T, Mészáros G, Tóth TP. Don’t Ask, Don’t Tell, Don’t Bother: Homophobia and the Heteronorm in Hungary. In: Trappolin L, Gasparini A, Wintemute R, editors. Confronting Homophobia in Europe: Social and Legal Perspectives. Oxford - New York: Hart; 2011. p. 79-105. Dombos T, Takács J, Tóth TP, Mocsonaki L. Az LMBT emberek magyarországi helyzetének rövid áttekintése. In: Takács J, editor. Homofóbia Magyarországon. Budapest: L'Harmattan; 2011. p. 35-54. Dombos T. “Longing for the west”: the geo-symbolics of the ethical consumption discourse in Hungary. In: Neve GD, Peter L, Pratt J, Wood DC, editors. Hidden Hands in the Market: Ethnographies of Fair Trade, Ethical Consumption, and Corporate Social Responsibility. Emerald; 2008. p. 123-41. (Research in Economic Anthropology). Dombos T, Horvath A, Krizsan A. Where did Gender Disappear? Anti-Discrimination Policy in the EU Accession Process in Hungary. In: Multiple Meanings of Gender Equality. A Critical Frame Analysis of Gender Policies in Europe . Budapest: CEU Press; 2007. p. 233-56. (Center for Policy Studies Book Series).